Heroine of the opera is Leonora. Her husband Florestan was arrested two years earlier by the corrupt governor Pizarro and no one has heard of him since. Leonora decides to act. Taking immense risks, she enters the enemy’s headquarters disguised as a boy, to see if Florestan is kept prisoner there. When she discovers him, only just in time, she throws herself between him and his executioner. Her husband’s life is saved. But the impact of her actions stretches far beyond her private goals, for Pizarro’s misdeeds are now brought out into the open and the power of his corrupt authority is broken. Justice can be restored. Leonora is an example to us all. There is always hope for a better world as long as people like Leonora are prepared to fight injustice and resist oppressors, willing to pay for freedom, even with their lives. Beethoven holds out a message of hope for every oppressed human being, at the same time providing inspiration for those capable of coming to the rescue. But the opera also shows that the change from misery to joy, from war to freedom, never comes cheap. Article 3 of The Universal Declaration of Human Rights reads: Everyone has the right to life, liberty and security of person. The reality, however, is that many people live in a place without any respect for freedom, human dignity or self-determination. 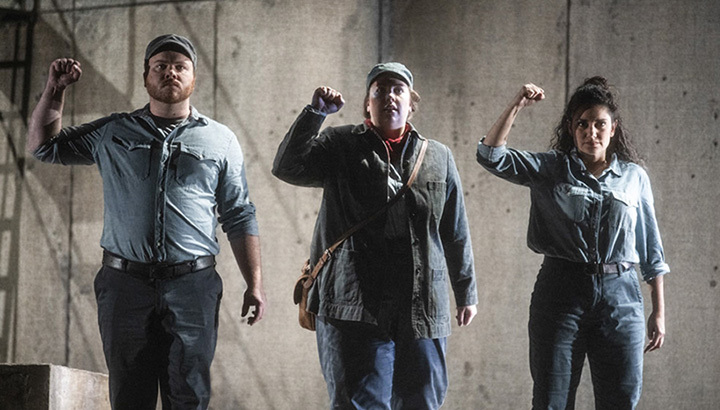 Beethoven’s opera Fidelio tells us about them and especially about their fight for freedom. We live many wars and revolutions later than Beethoven. Therefore, without eliminating the romantic quality of the story, I feel that some elements need to be adjusted to enable us to identify with the characters. In real life, for instance, heroes like Leonora rarely operate alone. Generally they are part of a network of courageous volunteers. Most of those remain anonymous but without their help no hero can succeed. By remodelling Marzelline and Jaquino I wish to express my respect for such anonymous volunteers everywhere. 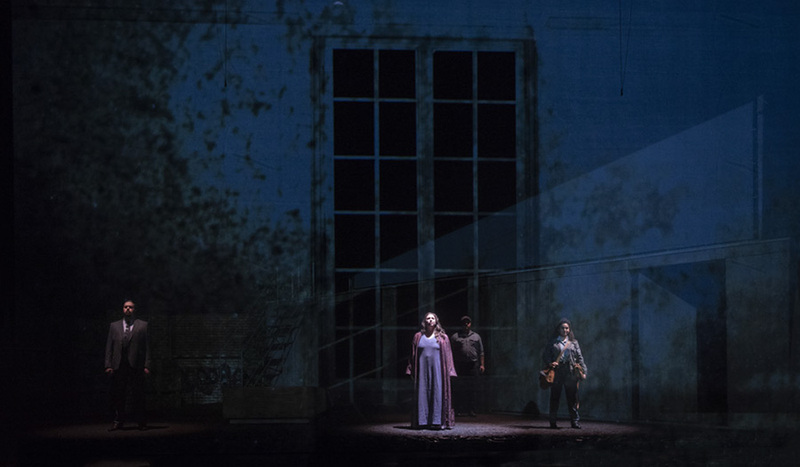 Fidelio starts as a romance, turns into a nightmare, then during Florestan’s rescue changes into a passionate dream of heroism, and finally ends in victory. The last part of the opera is a magnificent musical tour de force - an oratorio almost - about hope and freedom. Taking this into account Fidelio can be seen as Beethoven’s musical monument for all freedom fighters in the world. The idea of Fidelio as a musical monument naturally influences the staging and the scenography. Instead of the medieval Spanish prison Beethoven requires, it seems more appropriate to create an environment refering to memorials and monuments from all over the world. 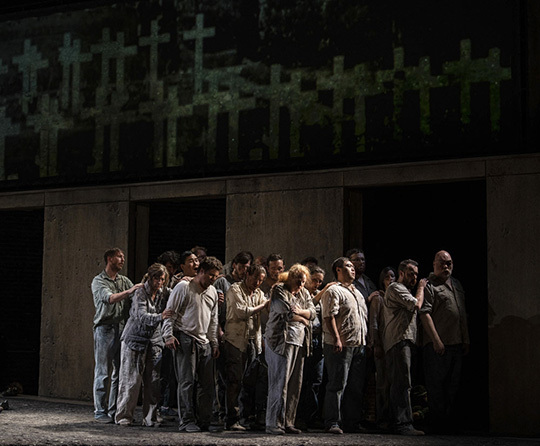 This and the use of video images that in a poetic way remind us of similar situations in the past and the present, underlines the universal significance of this opera.